Whether it is the battery-efficient Doze Mode or the goodness of the Multi-Window mode, there is a lot for Android 7.0 Nougat to offer. However, Google also gave us a glimpse of an awesome feature called Android Instant Apps back at Google I/O, which is finally being rolled out. With the Android 7.1 update rolling out for Google Pixel and Nexus devices, the Android Instant Apps are being added to the ecosystem. If you are among the proud owners of these devices, go ahead and learn how to use Android Instant Apps right now. From the home screen of your Pixel or Nexus device, head over to the Settings app. Scroll down the Settings menu to find the “Google” option under the “Personal category. In the Google settings menu, you will be able to see the “Instant Apps” option in the “Services’ category as you scroll down. Once you access the “Instant Apps” menu, you should be able to see the toggle switch on the top-right corner of the screen. A pop-up window will ask you to confirm the Google Play terms of service, so hit “Yes, I’m In” to confirm your action and enable Instant Apps. 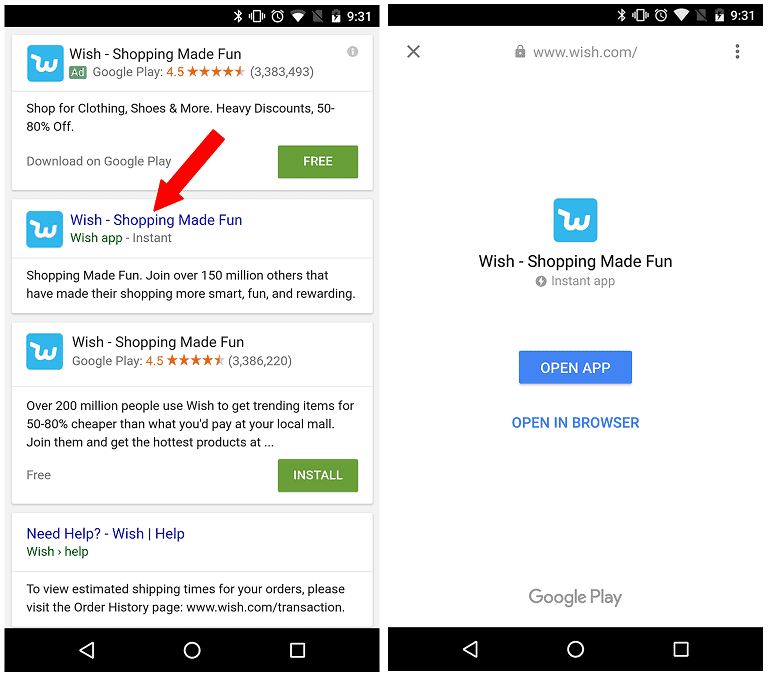 As the name suggests, Instant Apps allows developers to integrate their apps into Google search engine. Hence, if an app service is supported by Instant Apps, it can run as an app even without being installed on the Android device.